As our farmers' markets expand, wine tasting and local beef have joined our regular produce growers and other vendors. And beef gets explained at the Joseph market on Saturday, Aug. 6. 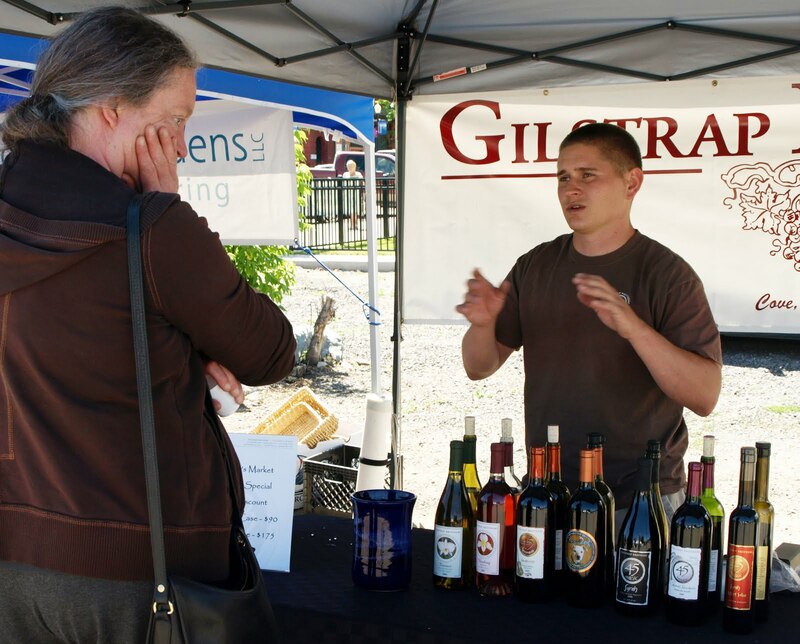 Gilstrap Brothers Winery from nearby Cove has offered tastings and sold wine by the bottle for several weeks now, and has been a popular feature at the markets in Enterprise and Joseph. Gilstrap will be joined by Lathrop Country Wines this week at both markets. Lathrop is owned by winemaker Scott Lathrop and his wife, Ruby, who also is manager of the Enterprise branch of Sterling Savings Bank. Lathrop recently opened a tasting room in Joseph and, like Gilstrap Brothers, will be offering tastes and wine by the bottle. Wallowa County grassfed beef similarly has been represented at the Enteprise market for several weeks now by Alpine Acres, the Lostine ranch of Blake Carlsen, who raises "petite beef" with big flavor. On Saturday at the Joseph market, local grassfed beef – leaner and more nutritious – will be discussed by Sara Miller of Magpie Ranch, from where Bunchgrass Beef comes. Her presentations at 11 a.m. and 1 p.m. will be accompanied with tastes. A tender steak and some great wine – what could be better?